Exclusive Offer for UPAF SMART CARD holders. 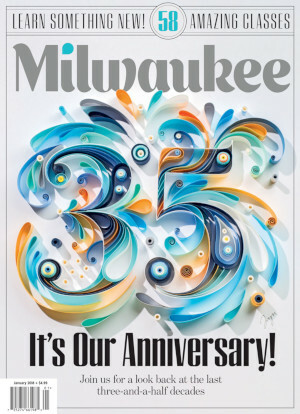 Subscribe to Milwaukee Magazine for a full year (12 issues) for just $10.00. * Offer valid for UPAF SMART CARD members only in a partnership with Milwaukee Magazine. Offer cannot be shared, transferred or combined with any other offer. Delivery in U.S. only. Subscription will start with the next open issue cycle; may take up to 6 weeks to receive first issue.